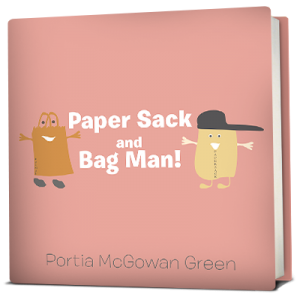 Paper Sack and Big Man! This is an unusually incredible quest about two friends. One is a sack, and the other a paper bag. One reaches out to help the other find employment in a neighborhood grocery store. Instead of taking a trip on the train, they find new friends, understand responsibility, overcome fear, and learn about trust and loyalty. The reward of getting a job takes two friends to new heights!